As it continues to work toward a deal to be acquired by BB&T, an Atlanta-based banking giant in recent weeks shed one of its Richmond branches. 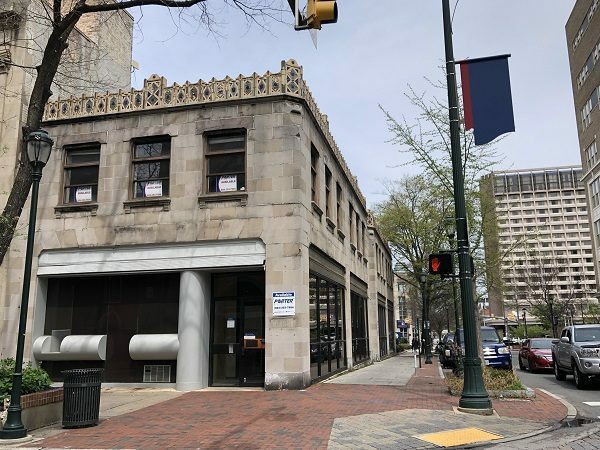 SunTrust closed its outpost at 424 E. Grace St. on Feb. 19, just days after it announced a $66 billion deal to be absorbed by North Carolina-based BB&T in a mega merger that will create a $442 billion institution. While the deal is expected to have a ripple effect in Richmond that likely will include branch overlap, SunTrust said this week that the Grace Street closure was not part of that process, but rather its routine consolidation process. In this case, the bank’s lease came due this year and it chose not to renew. Now the two-story, 7,300-square-foot building is on the market for sale or lease. It’s listed at $1.1 million with Porter Realty brokers Wilson Flohr and Bob Porter. City records show the building is owned by Kanawha Holdings LLC, a local entity that bought it in 2010 for $620,000. It most recently was assessed by the city at $560,000. Flohr said the property, built in 1928, in years past had been used as a clothing store, back when that stretch of Grace was lined with retailers. Now that the corridor has come back with new restaurant tenants in recent years, Flohr said they expect interest in the building for office, restaurant and retail users. 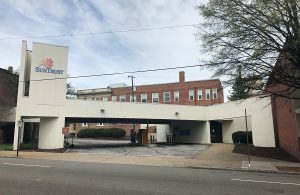 The former SunTrust branch at 206 E. Main St., which closed in 2016. SunTrust said its customer accounts from the Grace Street branch were transferred to its location in the SunTrust Center tower at 919 E. Main St. The Grace Street location held $232 million in deposits, among the highest amounts of any of its outposts in the region, according to the FDIC. The bank had 39 branches in the Richmond region holding a total of $4.5 billion in deposits as of June 30, the most recent data available from the FDIC. It’s the second downtown branch the bank has closed in recent years. In March 2016, it closed its location at 2nd and Main streets, though it still has an operational ATM on the outside of the building.